Rebecca Noble is a photojournalist for Jackson Hole News&Guide in Jackson, Wyoming working as the multimedia intern for 2019. 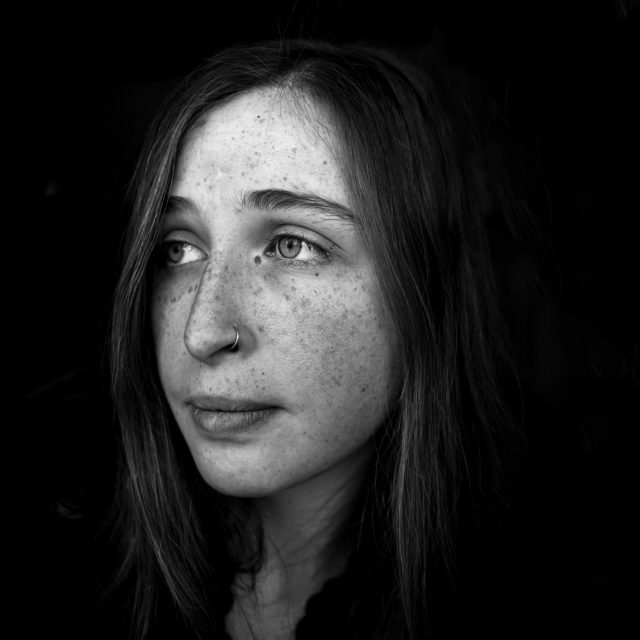 Noble got her start in photojournalism at age 17 documenting the Occupy Kansas City protests. She attended the School of the Art Institute of Chicago from 2012-2013 and transferred to the University of Arizona where she graduated with a degree in journalism in 2018. During college, Noble shot roughly 550 assignments for University of Arizona’s student-run paper, The Daily Wildcat, while working as a photographer, assistant photo editor, photo editor and senior photographer. Most notably, Noble covered the 2015 NCAA Men’s Basketball Tournament and nearly every political rally in Southern Arizona throughout the 2016 presidential election. Noble also interned at the Arizona Daily Star and Tucson Weekly and served as the photo editor and a photographer for Arizona Sonora News. She worked as a photojournalism teaching assistant for five semesters, in the Center for Creative Photography’s registration department and in the University of Arizona Libraries’ Special Collections processing and digitizing photography and journalism collections. In May of 2017, Noble loaded up her two cats and headed to Billings, Montana to intern at the Billings Gazette where she covered the Lodgepole Complex wildfire, the largest U.S. fire in 2017. She then moved on to be the sole staff photographer at the Cody Enterprise in Cody, Wyoming for a year, learning the ins and outs of small-town journalism. Noble has contributed images to the New York Times, Los Angeles Times, Washington Post, Associated Press, Arizona Republic and other publications throughout the country. She was awarded the 2017 National Mark of Excellence in Feature Photography by the Society of Professional Journalists and has been recognized by the Wyoming Press Association and NPPA’s Monthly News Clip Contest. Rebecca became an associate member of American Reportage in 2019.